Hokki-ji or Hoki-ji is a prestigious Buddhist temple, located in Nara, to the south of Kyoto (refer to #035). 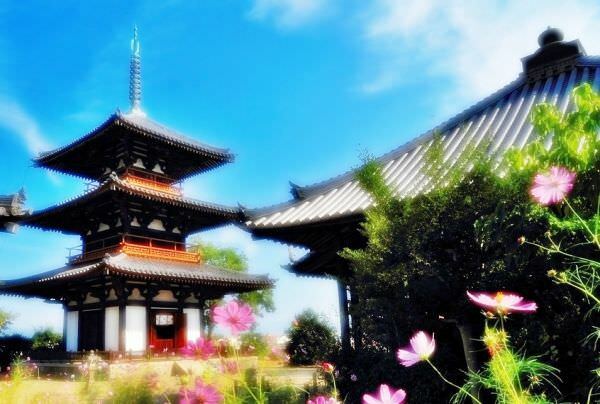 It is known for being the oldest and tallest three-story pagoda in Japan. 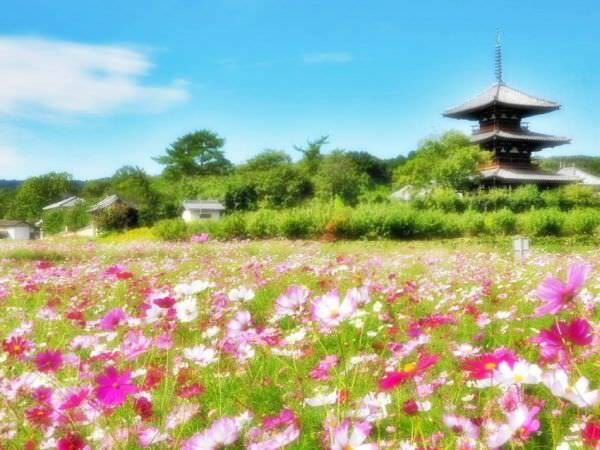 The temple belongs to "Seven Great Buddhist Temples built by Prince Shotoku". Also, it is listed as a UNESCO World Heritage Site, along with Horyu-ji (refer to #461).